How are rapidly changing fulfillment requirements affecting warehouse operations? According to a recent survey, they're triggering widespread changes in everything from facility footprints to long-standing value-chain partnerships. If you’ve been involved in order fulfillment for a decade or more, there’s a good chance you’ve seen a wholesale change in your facility’s picking patterns. Over the last 15 years, many DCs—particularly in the retail sector—have found themselves picking far fewer pallets or cases and a lot more individual items or pieces. As for what’s driving this trend, a big part of the answer is e-commerce and the consequent rise in consumer-direct shipping. And the growth of e-commerce shows no sign of slowing. Prior research by ARC Advisory Group and DC Velocity showed that companies expect an average of 40 percent growth in online sales over the next five years. Meanwhile, Amazon, the 800-pound gorilla in the market, has achieved annual North American growth of over 20 percent in each of the last five years. With this substantial growth comes rapid change and fierce competition, stimulating widespread changes to warehouses and fulfillment operations. To be precise, the heightened customer expectations and industry competition are forcing managers to rethink fulfillment processes, technology needs, operational priorities, warehouse footprints, and even the roles of long-standing value-chain partnerships. But what is the market profile of today’s operations? In what ways are the demands on warehouses changing? Perhaps more importantly, what are practitioners doing today and what are their plans to meet future demand and remain competitive? To develop a better understanding of the fulfillment environment, ARC Advisory Group and DC Velocity teamed up to conduct a survey of practitioners, asking about facilities, market pressures, operations, and investment priorities. We included a time-phase element to obtain insight into the likely progression from past to present to future. Many of our findings are likely to confirm your current assumptions, while others may surprise you. Although CBRE and other real estate firms publish regular reports on trends in industrial real estate, including warehouse space, data on warehouse types coupled with fulfillment operation data is hard to find. So we decided to include a question on facility types in our study. What we learned was that on average, respondents’ facility footprints are almost half bulk warehousing (facilities with more than 100,000 square feet of space), while a quarter consists of smaller warehouses, followed by cross-docking operations and refrigerated facilities. When asked to look forward five years, respondents identified bulk warehousing and cross-docking as the types of facilities they most expected to become more prevalent. One consumer-goods company respondent noted that it was expanding the footprint of existing facilities to support growth. We believe this to be a common and cost-effective means of increasing capacity. Meanwhile, a third-party logistics service provider (3PL) reported a planned expansion of bulk and cross-docking facilities to meet the anticipated needs of its clients. Not surprisingly, when asked about the reasons behind their planned facility expansions, respondents most frequently cited expected increases in throughput and storage capacity needs. Interestingly, an increase in order complexity was the next most common response, followed by a change in outbound load profile. These results point to the current evolution of order profiles driven by e-commerce growth and related factors such as the average retailer’s proliferation in SKUs (stock-keeping units). One mechanical parts distributor noted that its business is moving away from wholesale in favor of retail sales. This is a great example of disintermediation in the supply chain, as consumers increasingly opt to order online rather than visit a retail store. Every order would be the perfect order in an ideal world. But in reality, practitioners must set priorities and deal with tradeoffs. When respondents were asked about fulfillment priorities, "fulfillment accuracy" unsurprisingly topped the list. However, respondents believe that "fulfillment responsiveness" is the capability whose importance has increased the most over the last five years. Also worth noting, respondents believe that "fulfillment adaptability" (defined as the ability to handle a wide range of order profiles) has risen in importance more than "fulfillment throughput" has. This supports the view that overall order variability has increased, making adaptability more important. And this trend is expected to continue, as fulfillment adaptability and fulfillment responsiveness are the capabilities most expected to grow in importance over the next five years. Respondents’ comments support the view that pressures from e-commerce are largely responsible for this shift. For example, a respondent from an office supply wholesaler noted that it had seen an increase in its e-commerce direct-to-consumer shipments. Such a transition requires greater responsiveness due to the change in order profiles and customer expectations. Similarly, a respondent from a fashion accessories brand mentioned that it is becoming more nimble and adaptable to gear its operations more toward direct-to-customer fulfillment than it had in the past. FULFILLMENT PATHS AND PICKING UNITS: FROM HERE TO WHERE? There are a number of fulfillment paths that warehouses can support: traditional store replenishment, DC replenishment, drop shipping, and direct-to-consumer shipping. We asked respondents about the degree to which their organizations supported these various fulfillment processes. 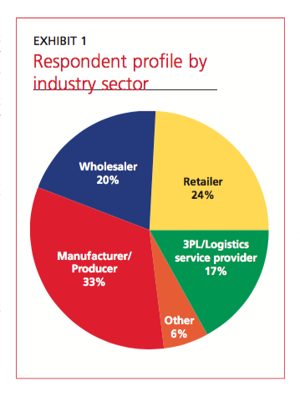 Replenishment of downstream DCs and replenishment of retail stores are currently the most prevalent fulfillment paths. However, once again, our inquiry into anticipated change painted a picture that differs from the status quo. When asked how they expect various fulfillment processes to change over the next three years, respondents identified direct-to-consumer shipping and drop shipping (shipping goods directly from the manufacturer) as the practices that would see the biggest growth. The anticipated growth in drop shipping suggests that respondents expect to see further decoupling of customer-facing and fulfillment processes. I consider this to be one of the most interesting reconfigurations of value-chain partnerships. For one thing, it indicates that e-commerce and the omnichannel paradigm are not only affecting retailers, but also their manufacturing and wholesale partners. As retailers are pressed on margins, many are refocusing on the customer experience and unloading the inventory carrying costs and fulfillment processes onto their upstream partners. Piece (eaches) is the unit type that most said would increase and also the type that most said would increase extensively. Over half the respondents also said they expected to see an increase in case picking. In contrast, less than half of the survey respondents predicted an increase in pallet retrieval. The responses about picking unit expectations support the view that picking units will continue to move toward eaches as warehouses fulfill more and more e-commerce orders and upstream partners support downstream partners with greater SKU variability along with smaller volumes of the same SKU. The shift toward processing higher volumes of small multiline-item orders is raising fulfillment costs within the warehouse. At the same time, greater levels of order variability are injecting inefficiencies into the fulfillment process. Typically, when faced with the need to improve processes and boost efficiency, logistics practitioners turn to technology. We asked respondents about the likelihood of deploying technology in the next three years to improve various operational processes (process pain points). Shipping, goods retrieval/order picking, and put-away are the processes most frequently cited as expected targets for technology investment over the next three years. In their supporting comments, respondents also expressed a desire to pick single and multi-unit orders by zone within the same wave, as well as a need for flexible picking solutions that can be deployed at scale. When they were asked the same question about technology investment for warehouse planning process improvements, they most frequently cited parcel shipping, general inventory management, and slotting optimization as likely areas for investment support. We expected parcel shipping to be a focus area due to results from other ARC and third-party research showing that the e-commerce boom had led to a substantial increase in parcel shipping. However, the high percentage of practitioners that plan to invest in technology to support reslotting and facility layout changes was unexpected. Nonetheless, it confirms the view that order profiles are evolving quickly and warehouse management is diligently searching for ways to boost efficiency. Although logistics executives would like to have a blank check and with it, the ability to select "all of the above" when it comes to investments to improve upon their operations, businesses live in a world of competing priorities, where oftentimes one investment must be chosen at the expense of another. Given that reality, we asked respondents to select their top warehouse technology investment priorities over the next three years. Interestingly, but not surprisingly, when it came to software, warehouse labor management systems were the top choice. E-commerce fulfillment is labor intensive and costly, as these orders are generally small, with items often stored in different parts of the facility, and that require additional steps such as packaging and labeling. WMS was the second most frequently selected investment choice, which is unsurprising given its role as the backbone of warehouse operations. When it came to warehouse automation options, conveyors/sortation was the most popular investment choice, followed by pick to light/put to light. The responses for conveyors likely reflect the high level of conveyor/sortation use in North America, as compared to Europe. Meanwhile, we believe that the interest in pick/put to light reflects a desire to gain efficiencies in e-commerce fulfillment operations. Also, the results support the view that autonomous mobile robotics (AMR) in the warehouse has moved from the concept phase to practical consideration, as 15 percent of respondents selected AMR as an investment priority for the next three years. Customer expectations and competition from e-commerce are driving widespread changes to warehousing and distribution operations. Direct-to-consumer growth is not only affecting retailers, but also manufacturers, wholesalers, and 3PLs. Warehouses and warehouse fulfillment operations are increasingly playing a greater role in commerce due to disintermediation and a reduction in retail sales through stores. On top of that, the relationship between retailers and upstream partners is changing, as wholesalers have increased their presence in retail and retailers have pushed direct-to-consumer responsibilities back onto their suppliers. As a result, warehouse footprints are expanding, responsiveness and adaptability have become more important, parcel shipping has grown, and labor efficiency remains as important as ever. Clint Reiser is director of supply chain research at ARC Advisory Group. Feedback: What did you think of this article? We'd like to hear from you. DC VELOCITY is committed to accuracy and clarity in the delivery of important and useful logistics and supply chain news and information. If you find anything in DC VELOCITY you feel is inaccurate or warrants further explanation, please ?Subject=Feedback - : E-commerce and the warehouse of tomorrow">contact Chief Editor David Maloney. All comments are eligible for publication in the letters section of DC VELOCITY magazine. Please include you name and the name of the company or organization your work for.